For Wacom digital drawing tablets, a new Chromopen has been designed. 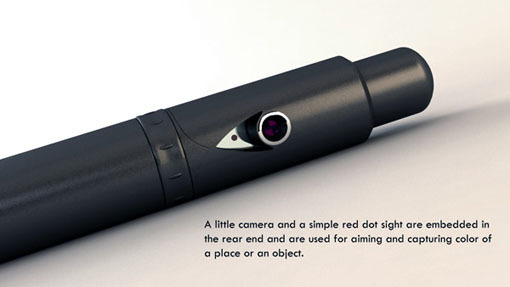 It is an innovative and smart drawing pen. Moreover, it is ideal for graphic designers who wish to take their abilities to the other end. 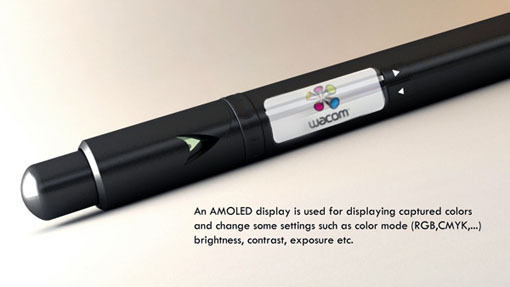 This Chromepen has come out with a built-in camera, an AMOLED display, a scroll wheel and a pair of buttons. The camera of the pen is used to capture the color of a place or an object while the AMOLED display will show the captured colors. However, if you wish, you can customize some settings like contrast, brightness or exposure using a scroll wheel and a pair of buttons. The Wacom digital drawing tablet with the company’s Penabled technology is able to receive the color data when the pen is near the screen and the brush’s color will be changed suddenly. The designer of the pen is Ehsan Sayyad. We should thank the designer for bringing such an innovative pen.